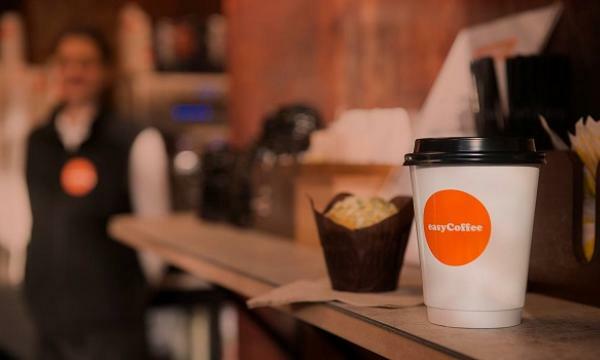 The new joint venture will allow the value coffee chain to roll out 800 vending machines nationally in 2019.
easyCoffee's expansion has now been given a significant boost due to a planned £10 million investment from Stellar Asset Management. Part of the ‘easy’ family of brands that includes easyJet, the value coffee chain recently installed its 50th vending machine in the market and served its millionth cup of coffee. The new investment will allow easyCoffee, which was founded in 2016, to roll out 800 vending machines nationally in 2019. “Vending is a highly profitable business driven by brand recognition. This investment is an endorsement that the easyCoffee brand, like its sister brand easyJet, stands for a quality product and service at a value price,” easyCoffee CEO Nathan Lowry said.